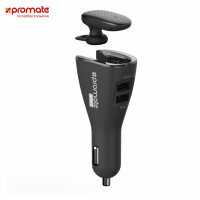 This super-useful Bluetooth headset from Promate not only comes with its own charger, but doubles as a separate car charger with dual USB ports too. Simply push and remove the headset from the cradle to answer a call, then replace when you're done. If you lead the kind of busy, high-powered lifestyle which necessitates a Bluetooth headset, the last thing you want is for your call to die while you're conducting important business. The Promate Aria-2 comprises of both a high-quality Bluetooth headset and a universal dual USB car charger, making it the perfect solution for when you're on the go. 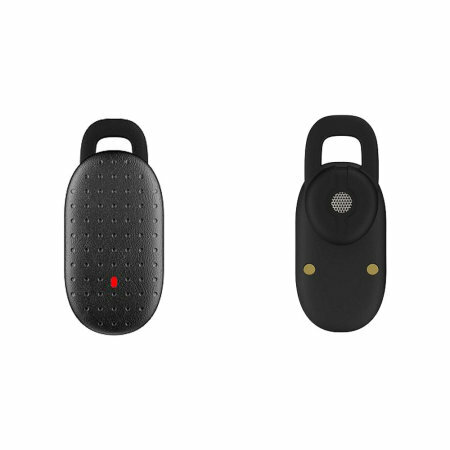 The Bluetooth earbud included has been designed to compact, robust and most importantly of all offers crystal clear sound quality thanks to the incorporated Digital Signal Processing (DSP) Noise Cancellation chip. Furthermore as the earbud is universally compatible it can connect with virtually any smartphone or tablet on the market right now. With Multi-Point technology, you can connect to two devices at the same time. 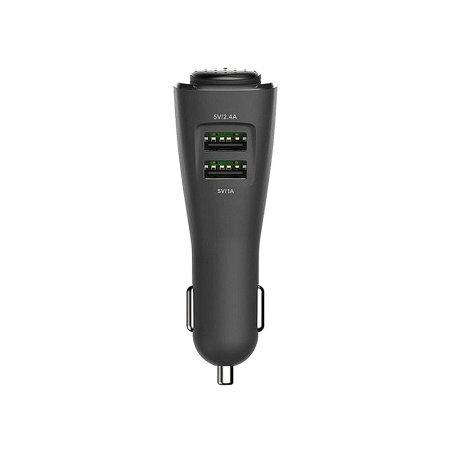 This is particularly useful for connecting to a personal phone and possibly a separate work phone too. 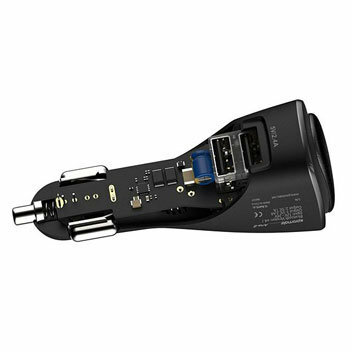 This ingenious gadget contains both a cradle for the Bluetooth headset and universal dual USB ports supplying a total of 3.A of power. 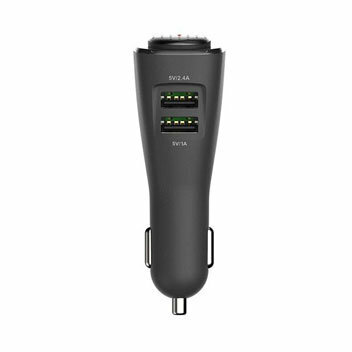 The first USB port provides up to 2.4A of power, which is more than enough to charge even the most power hungry smartphones and tablets, while the second USB port outputs up to 1A of power which is ideal for all other devices including e-readers, satnavs and more. 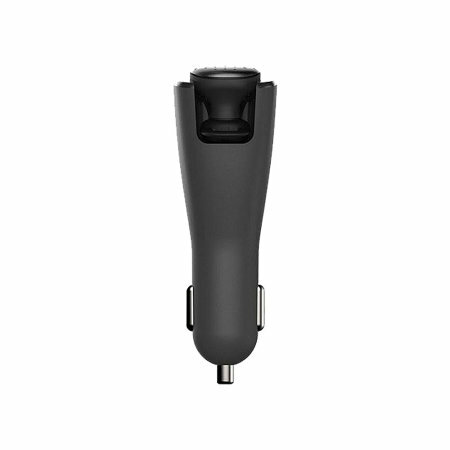 Once the Promate Aria-2 earbud has been paired with your phone, all you need to lightly push down on the earbud and lift it from the cradle to answer a call. Once you're done talking, simply place the earbud back in the cradle to end the call. 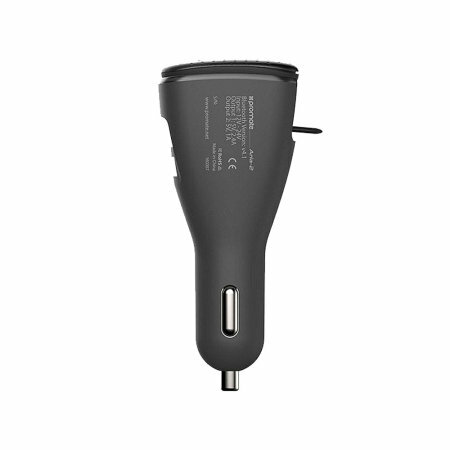 Both headset and charger will look great in any vehicle thanks to a universal elegant design which complements both modernity and classic style.